Shop for Insect Repellent products from a variety of different brands, all DEET free. Greener Beauty is always vegan, always cruelty free, only ever ethical brands and always toxic chemical free. 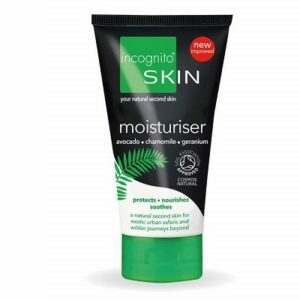 Incognito After sun and Moisturiser has a fresh citrus aroma and light texture with soothing after sun properties. When used regularly it boosts protection from biting insects and the product packaging is made from innovative and renewable sugar cane plastic! 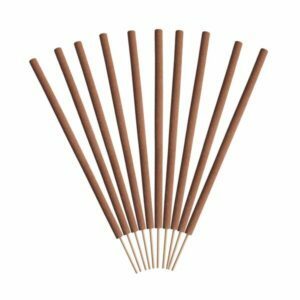 Incognito Incense Sticks are highly effective and chemical free. They have a fresh citrus aroma to refresh and enhance any room, with the added benefit that the light smoke helps to deter insects. The citrusy fragrance emitted is also perfect for relaxation and stress-relief. 100% natural; non-toxic and free from irritants, parabens and SLSs with a fresh pine and citrus aroma. Use indoors to keep insects out for up to 3 months. 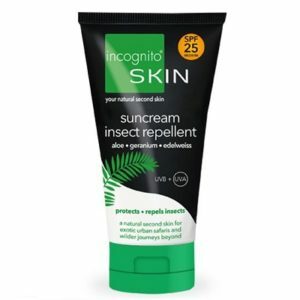 Incognito Sunscreen & Insect Repellent SPF25 is a revolutionary tri-action suncream, moisturiser and insect repellent. With broad spectrum SPF25 protection against both UVA and UVB rays, this non-greasy lotion will protect the skin against both sun damage and ageing. Simultaneously, it provides a camouflage from biting insects! 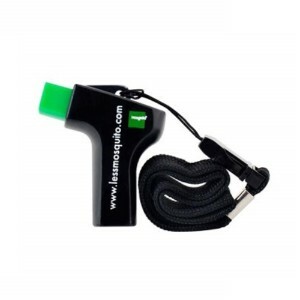 Incognito Zap-Ease instant bite relief is the simplest, most effective, harmless way of stopping the itch, for the times that you forget to apply your incognito Insect Repellent Spray.